There are several ways of facelift and the surgeon chooses or combines those that will be most beneficial for your face. Get the lost years back. 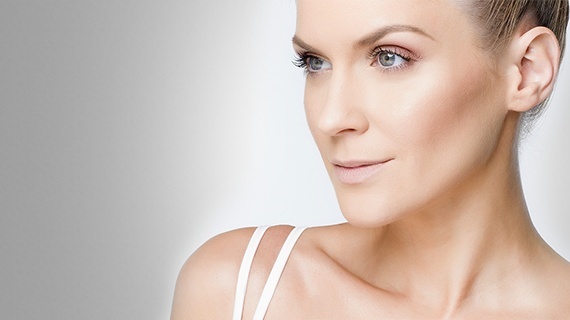 The endoscopic forehead and brow lift Endotine can make your eyes sparkle again in two hours. It will also smooth forehead wrinkles. If you wish for plumper lips, plastic surgical method called lipofilling will give your lips volume quickly and without the use of extraneous substance. You can have the skin on your neck tightened in an hour – thanks to necklift. It will tighten the loose skin and you will get rid of the visible signs of ageing. The quality of vision is influenced by our eyelids. They naturally drop due to ageing. It is not only a woman’s issue. Men often undergo this procedure, too. Don’t choose your hairstyle and look based on your protruding eyes, otoplasty will help you with that. It will deal with both normal and asymmetric protruding eyes. Chubby cheeks are no good to anyone. Modern plastic surgery can get rid of your buccal fat pads gently and for good in less than an hour. Even strict diet can’t remove the accumulated subcutaneous fat under your chin? Double chin radiofrequency liposuction NeckTite will do it quickly and gently. No extraneous substance is needed for your face to get back in time, your own fat will be enough. Have you heard of plastic surgical method called lipofilling? Plastic surgery has its techniques to make scars disappear effectively. Whether you have protruding or pitted scars, an appropriate procedure can get rid of them.